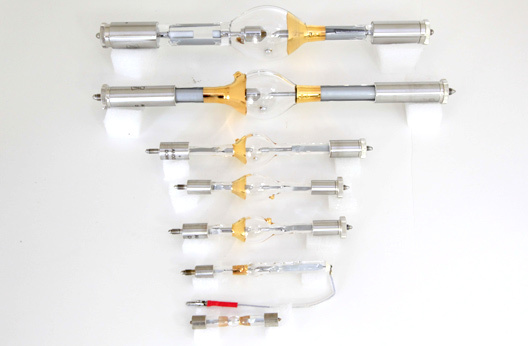 From Advanced Radiation Corporation, the innovator in lamp technology, a low power, white light, high brightness, true point source is now available. 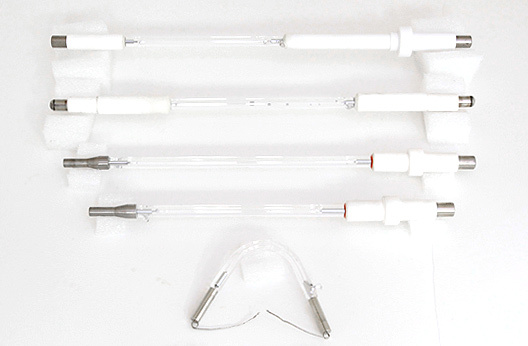 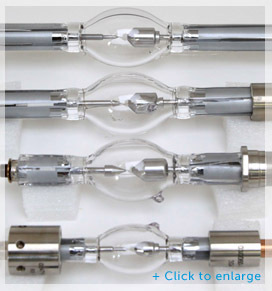 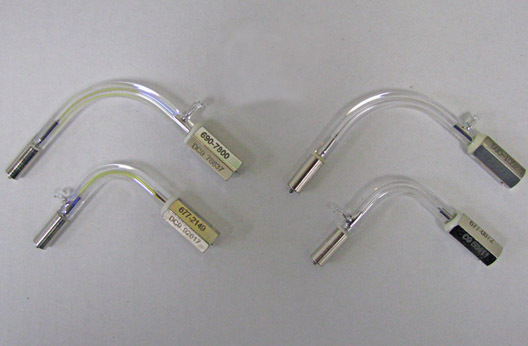 Advanced Radiation Corporations' 20 watt compact xenon arc lamp represents the state-of-the-art in cathode technology; using the most recent advances in material sciences and superior process control ARC is able to achieve a low work function cathode emitting tip necessary to establish the high current density to produce a stable point source configuration. 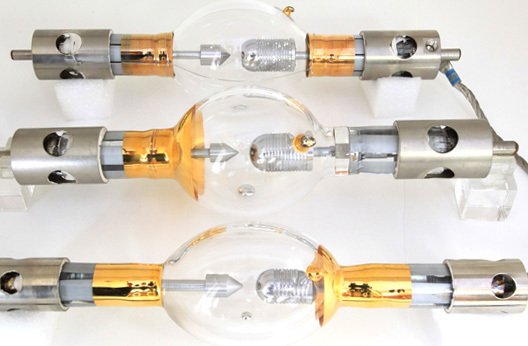 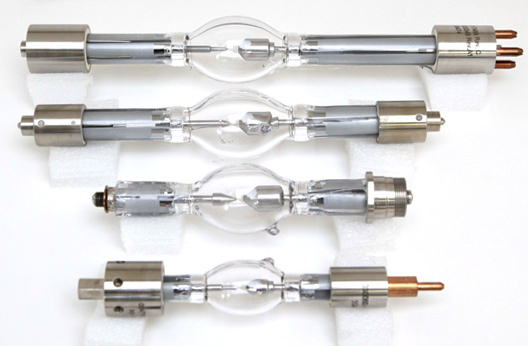 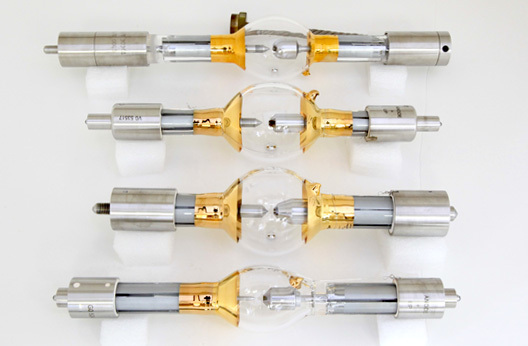 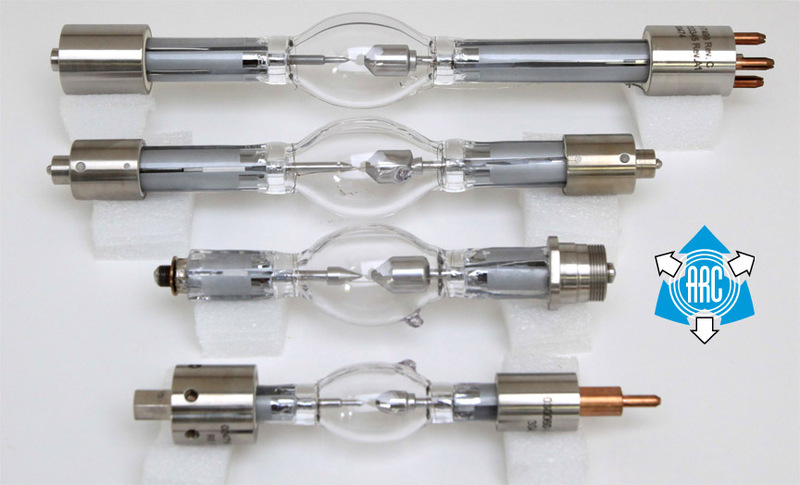 The spectral purity of the xenon plasma produces a 5800°K color temperature while the small arc size is ideally suited for optical instrumentation.